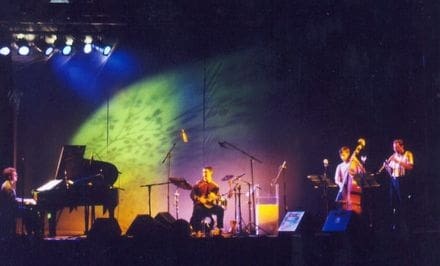 Show and presentation of the CD published by Resistencia Ediciones LOVE TO LIFE from 1997, premiered in March 6, 1998, at the El Jardin Theatre of Figueres. Love to life is a work created after viewing a BBC documentary called "The sea wolf, survival on the coast of the skeletons" of the series Natural World, a story about love and death between Hyenas in the west coast of Africa. An ode to life and hope. 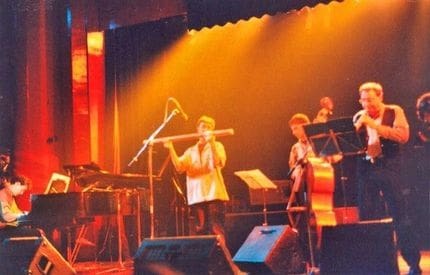 As an anecdote, let me tell you that I am a great admirer of the work of american saxophonist Paul Winter, and once I financed the recording of the CD's work and had a valid product in my hands, I had the audacity to send it to him after finding out that in the back of his recordings that I had, there was a PO Box from New York, where I sent it. Thinking that nothing would happen, but neither had nothing to lose, after some time I received a fax that left me in shock when I read it. It was a fax from Paul Winter who told me that he liked my work "Love to Life" and that he was going on tour through Spain and he wanted to meet me. And so it happenned, after a short time we met in Madrid after the concert he did in this city, and the next day we were invited to a friend's house in the same city so we could continue speaking with him and his musicians: Paul Halley, Glen Velez, Eugene Friesen and others, all of them were very nice to us and very great musicians. A big pleasure. 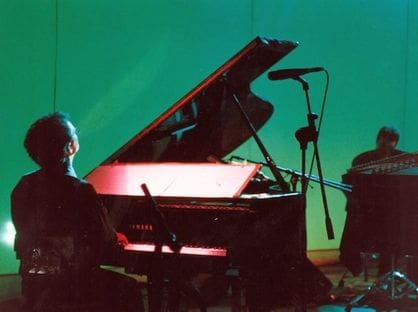 When the CD was edited by Resistencia Ediciones of Madrid, Paul Winter wanted to make his contribution and we incorporated in the CD the following sentence of him about my work: "Love to Life is an album of exquisite music from a superb young musician/composer and his colleagues. It is refreshing to hear instrumental music of such elegance. 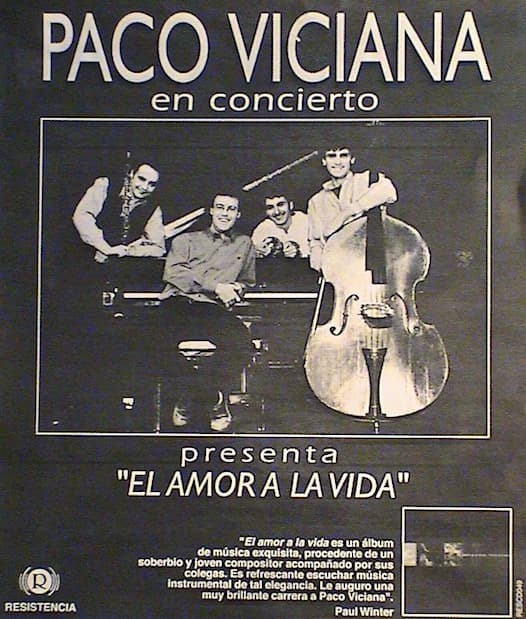 I imagine a very bright future for Paco Viciana".